It was a very brisk morning, hard frost everywhere. In short, the race was flat and fast. My disappointment was in coming 11th … my worst result and the only one outside the top 10 in well over a year. Excuses? Hmm … it was too flat, too dry, too short, too … in fact, there were just a lot of faster girls than me there! Not even a mis-navigation by a group in front helped my position – they still beat me even though they ran further! Near the start, feel OK. Hello Anne! 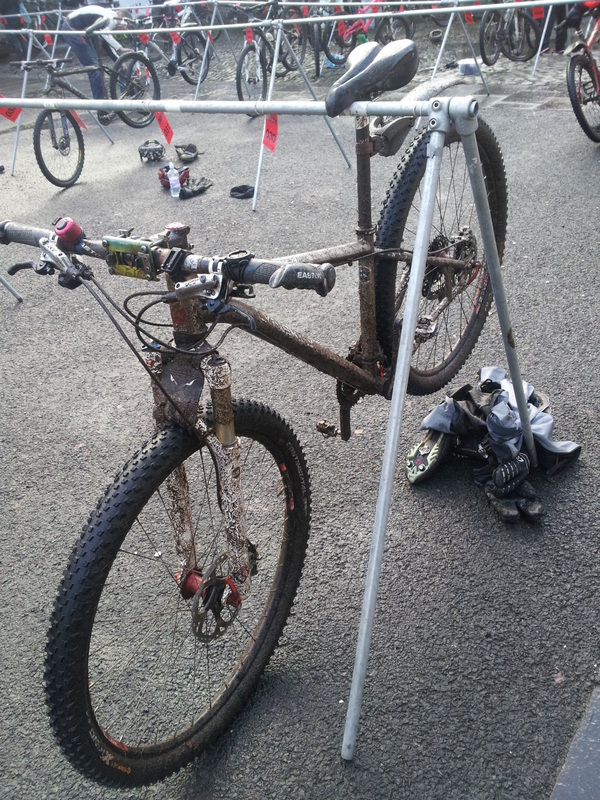 Still flat, where’s the mud? On the other hand, it was a pretty route and my time was quicker than I thought it would be. The best bit of the day was the camaraderie and banter, and a trip to Mimi’s on the way home for some rather gigantic French toast. Perfect post-race refuelling! I suspect this was a classic case of misalignment in expectations and commitment between my conscious (I want to do well! I always want to do well!) and my sub-conscious (this is a training run, it is practice for bigger things). 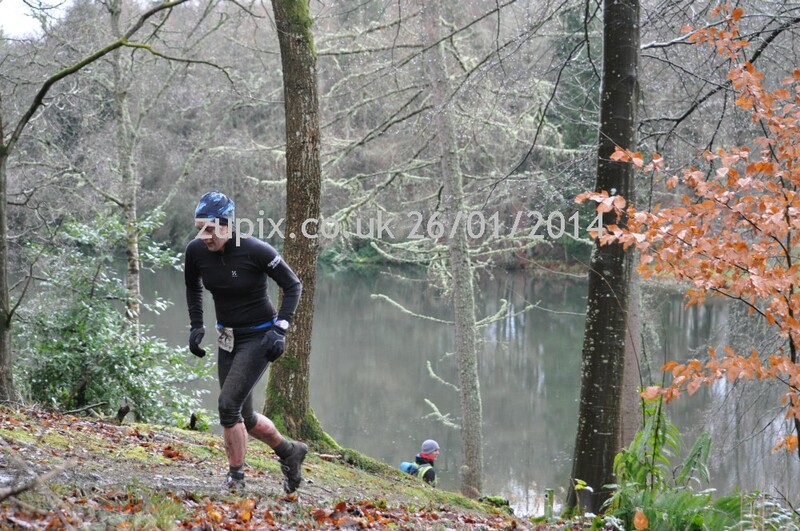 Fast forward a couple of weeks and it was time for the second event in the Bowhill winter off-road duathlon series. This was the ‘medium’ distance. These races are supposedly short, medium and long, but these terms are all relative. To my mind they are very short, short, and quite short. Anyway, on race morning it was raining. On the way over, it turned to sleet and the temperature reading from the car thermometer dropped by a couple of degrees. It was also very windy. We arrived later than usual but I was organised and didn’t need or want to hang about in the rain anyway. After getting ready I stuck to my plan of keeping my waterproof on and riding in my giant lobster gloves. I had a number belt though – couldn’t believe some people were putting pins through their waterproof jackets – surely that can’t be good for them?! It was a mass start on the bike. I planned to be about row 2 but end up right at the front with Jo (super fast girl) on my left and Chris (super fast guy) on my right, 3 of us from the same club lining up! On the horn, off we went. There were a few wobbles and people were rushing past me. I had to hold my nerve, but was soon heading up the hill in contact with a front group of about 15. Up and up we went. Mud, what mud? I’m far left, Jo centre. Despite my face, I was having fun! On the first down a couple of people passed me and Jo disappeared. ‘Usual story’, I thought. Second downhill something took hold of my brain. I kidded myself that the new tyres and tubeless set up would ‘make me go faster’ and started hammering it down a very stony, bumpy fireroad. Rain and sleet were falling from above, whilst mud flew up from below. The occasional coniferous tree branch took a swipe from the side. I couldn’t see a lot and just hung on and hoped for the best. At the bottom I popped round a corner and there was Jo just in front again! I caught up and followed her through the trees. Every time I attempted a pass though, she accelerated, so I just sat in behind all the way to transition. Same situation again, I might try something different! However, this was an awesome bike ride and I knew it would be the highlight of my day. Even though I faffed a bit changing shoes and getting my coat and big gloves off, I was first lady out of transition! Then reality struck. We were on foot and Jo came past and whizzed off. She is a class runner. I gritted my teeth and got stuck in. The run was much less exciting than the bike. For most of it I could see almost no-one ahead or behind. I just kept going and hoped I wouldn’t be caught. In the end, my cushion from the bike was enough to see me keep 2nd place, though I still have a lot of work to do on that run! I was 21st overall, maybe I can break into the top 20 next time? Abandoned kit in transition. More mud. Thanks to Bob Marshall and Zupix for most of the photos. 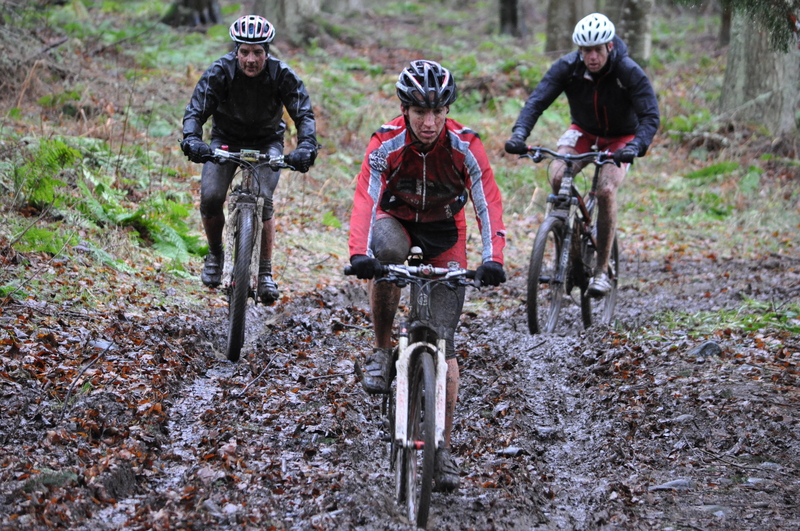 Posted on 27/01/2014, in Adventure Racing, Race Reports and tagged Lynskey, Mountain biking, off-road, race, run, Scotland, triathlon. Bookmark the permalink. 5 Comments. 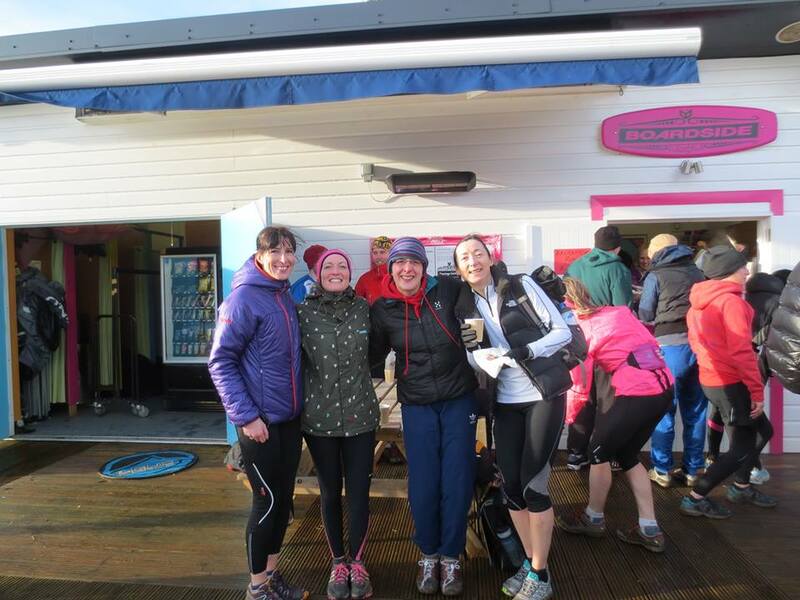 Yep – they both were, especially the duathlon! Such a relaxed and fun atmosphere even when you’re racing hard! One more to go in the series, this weekend.